I can't believe it's already Friday! Conor took yesterday & today off since my in-laws are in town, so we have been having all sorts of fun adventures. Yay to only a 3 day work week! Plus I love having all the extra helping hands around. We have what is sure to be a busy weekend ahead with the Superbowl (we may or may not through a party) and Conor's birthday. Let's just say I have nothing planned since we've had family in town, and that Saturday I will be a hot mess trying to get some things organized. Here's my weekly Five (thanks to all the lovely hosts: Christina, Darci, April, & Natasha)! 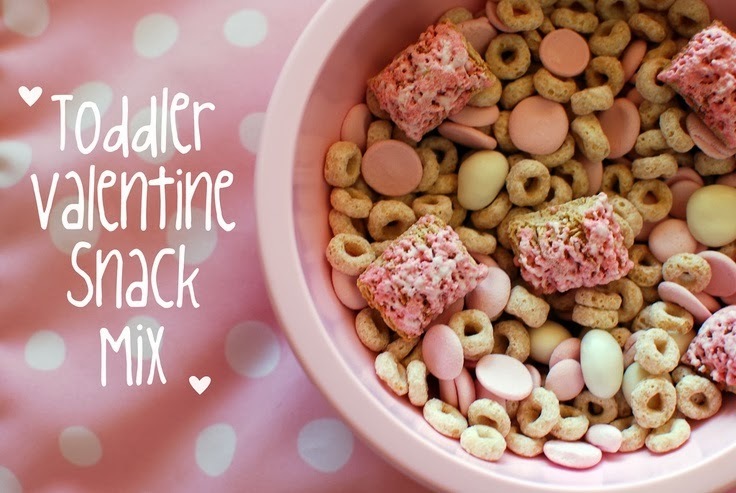 Megan at Willow Way posted a pic of some Valentine snack mix that just put together for her little Olivia this week. My mouth started watering at the thought of all the delicious options! I started scouring Pinterest for different combinations, and this one was my favorite. We'll see what I put together this weekend. It'll be more for me than Liam, since he's still not much of a snacker. I'll take any reason to add a little pink to our daily lives! I'm finally jumping on the Cardio Barre train! I'm purchased a groupon for some classes with some friends, and I can't wait to start! I've heard such amazing things about these types of workouts! I think a little lulu lemon shopping trip is in my future! We finally cut trimmed Liam's hair. And when I saw trim, I really mean a trim! He has such beautiful blond hair that curls in the back, so it was a tough decision. However, I like that it's been cleaned up and has a fresh look to it. Now that a few days has passed, it's looking perfect. Liam is now a brand new fish owner! Conor's parents bought Liam a fish (with my blessing of course), and he is pretty excited about it. We have yet to name him, so we're still open to suggestions... Hopefully I don't kill it, or Charlie doesn't eat it. Fun fact: I had a goldfish for almost 11 years growing up; that has to be a record or something! Don't forget to enter my Freshly Picked moccasins giveaway!!! A winner be will chosen Monday morning! Happy Superbowl Weekend, go Hawks! It took me a day or so before I was happy with Noah's first hair cut. I think it's hard for us to let go of that baby look. Wow 11 years is a long time. We won two goldfish from a carnival and they got huge! One started stealing all the food from the other one. We had to block him off so the other could eat. One day we came home and the bigger one ate the smaller one! Half of him was left! How creepy is that? We never got another fish again! I'm still not brave enough to cut Mason's hair myself! There is a little place down the road that I take him to get a "trim"... he has these curls near his ears that I'm just not ready to part with so I totally feel you on the "trim" decision. 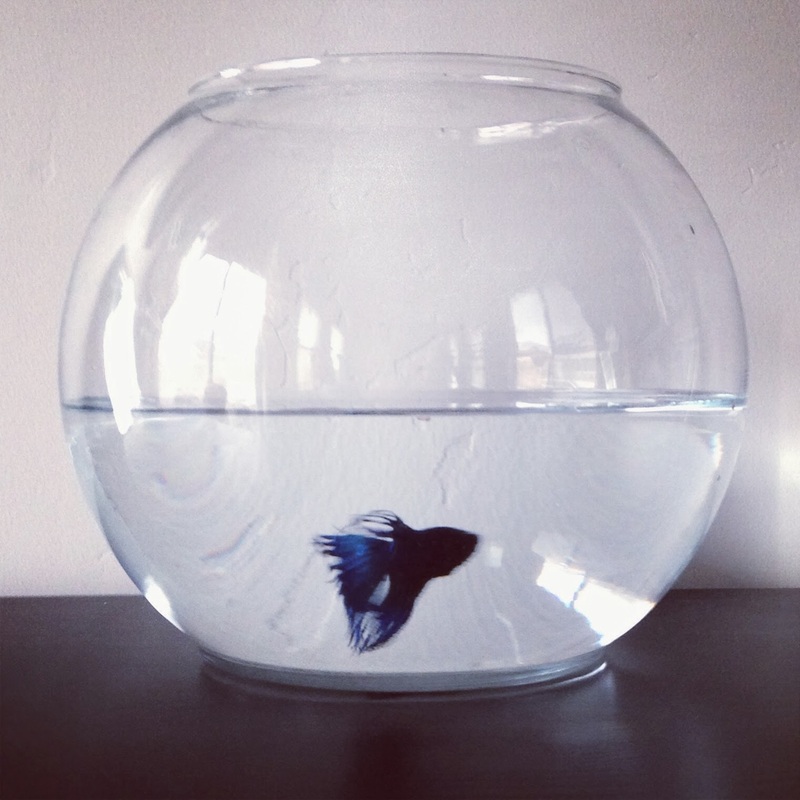 I love that fish - I have had a beta fish in my office for YEARS! They are great and such low maintenance. I hope you have a wonderful weekend! Liam is oh so handsome and I may just need make some of that snack mix for my mini :) Have a fabulous weekend! k that snack mix is awesome! So cute, I'm going to steal it for Aria! I love the hair cut, even if you had to get rid of the baby curls...Aria is still a baldy but I don't want to part with those sweet mullet curls she has anytime soon. A fish is my kind of pet! Esp a simple fish. None of that fancy salt water tank craziness for me. Hmm I'd name it Fena! love this! just found your blog and am excited to follow along! That toddler snack mix looks awesome!! 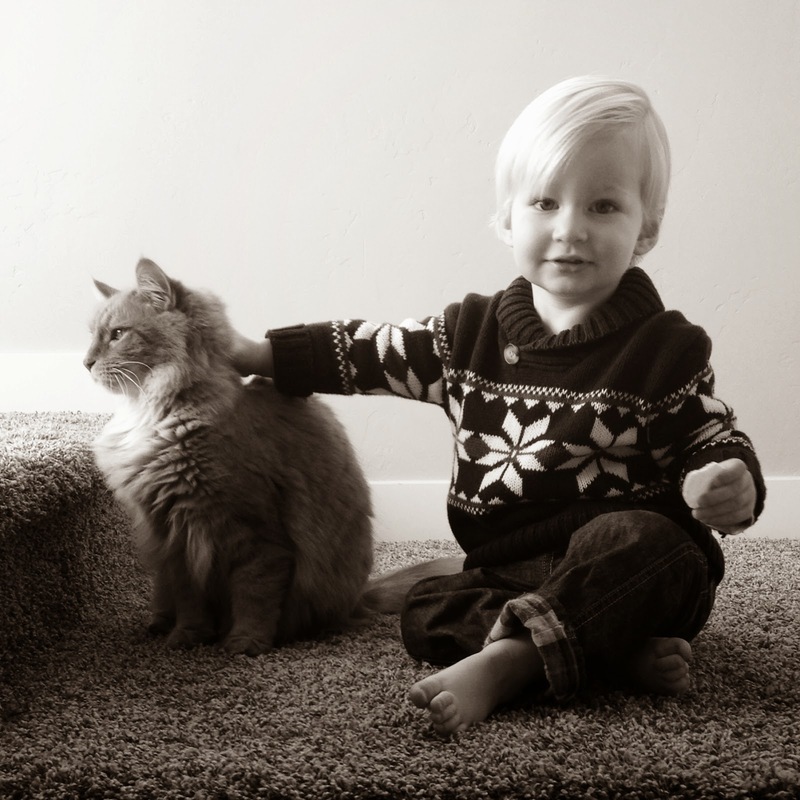 A fish is a great pet for a toddler too!! Just found your blog through the link up but now I'm going to be following along! Hi from the link up :) Your lit'l guy is adorable!! Hope be enjoys his new fishy! Happy weekend to you and yours!! Liam is such a handsome little guy...seriously!!! And I love that he got a pet fish! We have 3 dogs and 2 horses but I've been thinking about adding a fish to the mix and keeping it in Sadie's room for her. Going to Petsmart and looking at all of the fish is pretty much the highlight of her life!